Come celebrate the release of the latest issue of zingmagazine and hang out with us one last time before we go quiet for a while as we prepare for the forthcoming Devon Dikeou: Mid-Career Smear retrospective exhibition opening in February 2020. Attendees will receive a complimentary copy of zingmagazine issue 25, and will also be treated to a DJ set by Jeremy ‘Sinistarr’ Howard and a live performance by musician Jonny Barber. This event is free and open to the public and will take place on Thursday, April 4 at Dikeou Pop-Up: Colfax, 312 E Colfax Ave. Doors open at 6pm. Author and founder of The Colfax Museum, guitarist Jonny Barber performs originals and choice covers, with Americana, rock, rockabilly, country & blues all making an appearance. He will be accompanied by bassist Lance Bakemeyer and will treat us to some retro as well as modern tunes. Jeremy ‘Sinistarr’ Howard is a Denver-based DJ hailing from Detroit who is known for his innovative and adventurous sets that deftly explore the soul of yesteryear with a modern context. As a producer, he has releases on legendary labels such as Metalheadz Platinum, Renegade Hardware, and Creative Source. 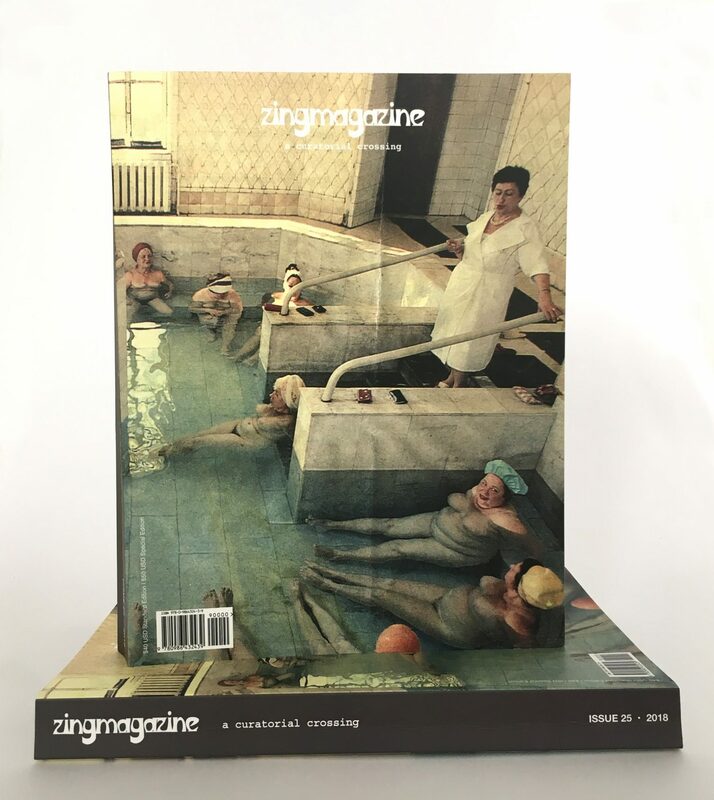 zingmagazine is a New York-based contemporary art publication Edited/Published by artist Devon Dikeou since 1995. Issue #25 includes projects by Sarah Staton, Amy Gatrell, Rachel Cole Dalamangas, Allan McCollum, Shamus Clisset, Robert Smithson, Kerri Scharlin, Gaston Karquel/Geraldine Postel & Magnin, Polly Apfelbaum, Craig Dykers, Michael ross, Jennifer Grimsyer, Karin Bravin, Maria Antelman/Melanie Flood, Willard Boepple, Heidi Zuckerman, Christian Schumann, Elmgreen & Dragset/Maureen Sullivan, Bjarne Melgaard, Romana Drdova, Edgar Serrano/Benjamin Donaldson, Deborah Kass, Natalie Rivera, Brandon Johnson, Walter Robinson, poster by Mark Licari, mask by Romana Drdova, and koozie by Shamus Clisset.